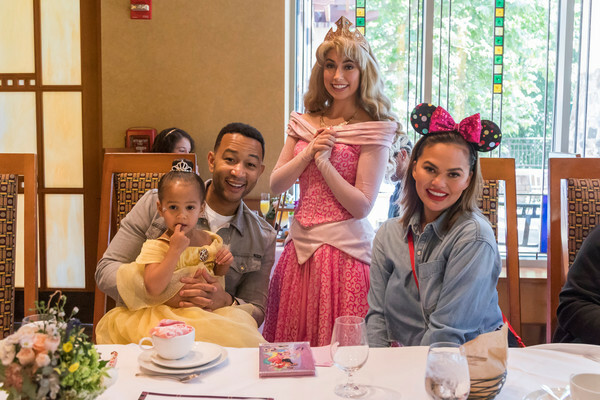 Chrissy Teigen and John Legend celebrated their daughter Luna’s 3rd birthday in a special way—with a family trip to Disney—a few days before the actual big day! Fortunately, the little princess was not the wiser as she enjoyed her special day with a princess makeover at Bibbidi Bobbidi Boqutique and got the opportunity to visit the new Disney Princess Breakfast Adventures at Disney’s Grand Californian Hotel & Spa. And what would a Disney Princess breakfast be without some Disney princesses to join in the fun. Little Luna got to share her meal with Tiana, Aurora, Jasmine, and Belle. 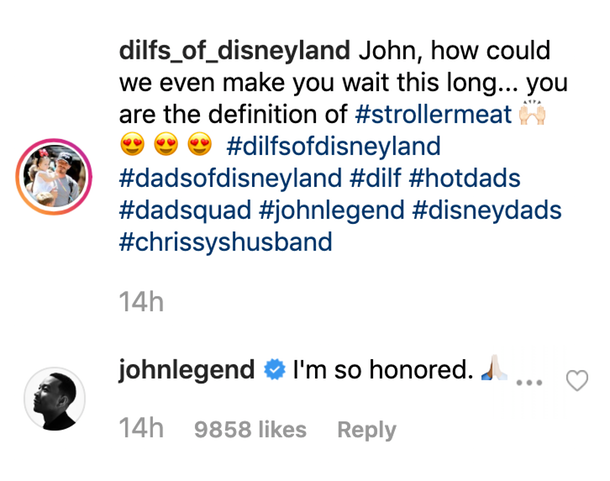 Well, after all of his hard work and multiple pleas to be included in as a DILFS of Disneyland, Legend got his wish and was featured. We cannot get enough of this family! Happy Birthday, Luna.